How To Make Your YouTube Channel Stand Out - Rana CampbellRana Campbell | will help you build a brand that SHINES in the business world. Want to start a YouTube channel but think you’ll just be one of a million other YouTube vloggers out there? With over 1 billion users on YouTube, there is defintely room to create a community and find supporters who want to listen to the message you’re sharing. If you need an extra push (or motivation) to get out there and launch your own YouTube channel, today’s BRANDMAKERS is just for you. Philomina did NOT start out with a fancy camera or knowing everything there is to know about how YouTube works. 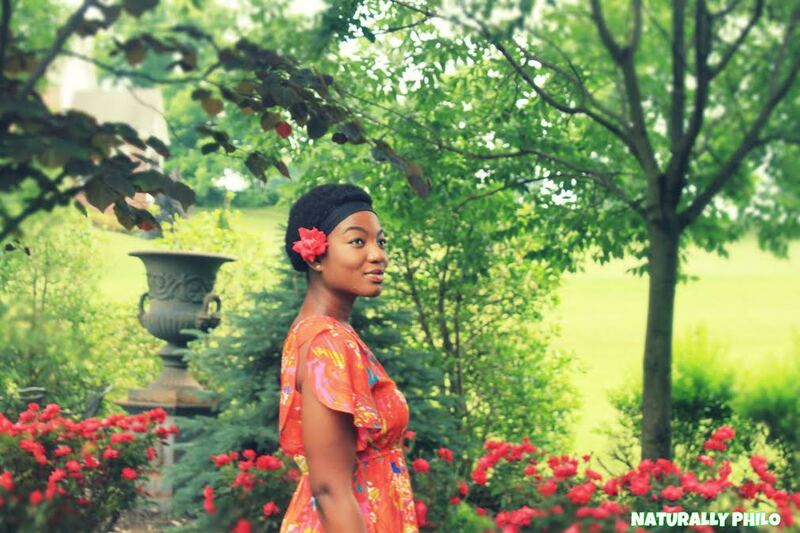 At the base of it all was her desire to share her story with others and build a community where naturals could come together to talk about issues. In just a few months, her vlog has grown over 60,000 views and over 1600 subscribers. This could be you, too, but you have to let go of the fear that may be holding you back from starting. The 1 thing that has helped Philomina grow her channel (Hint: it start with a “p”)…and more! What inspired you to start your YouTube channel NaturallyPhilo? 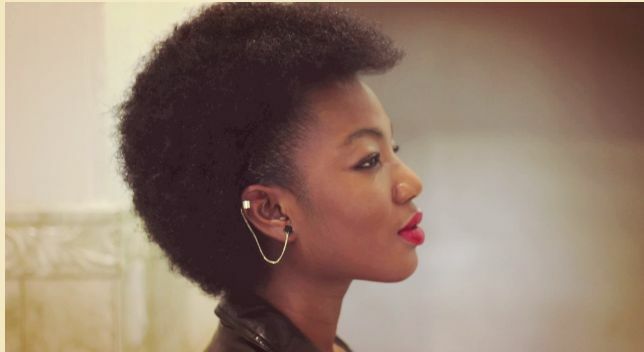 Philomina Kane (PK): My hair has been permed most of my life (eighteen years.) Back home in the Bronx, it was easy for me to get perms. My aunt was always there to perm my hair. Transitioning to college where it’s $60 to get your hair washed and set at Princeton was not clicking with me at all. I wasn’t taking care of my hair. It was starting to fall out. During a Rugby trip to San Francisco, I got one of my rugby friends to cut it for me. We filmed it, also. After cutting it, I liked how it looked. I was ready for a new beginning. Before I cut it, I did all my research and made sure I was ready to go out on this journey. Snapchat was big for me. Every day, I’d do a mini tutorial on what I was doing to my hair. My friends would snapchat me back saying, “Philomina, this is not YouTube.” I figured they were right. In May 2014, I went on YouTube. I was ready to put my voice out there. My first video went up in June. Since then, I’ve been uploading videos. What were some of the first things you had to do when starting your YouTube channel? Every day I’d go on naturallycurly.com or curlynikki.com. One person that really inspired me was Naptural85. I watched all her videos. I was ready to make a YouTube channel because I felt like people would be ready to hear my voice. At the same time, I wanted to document my journey. If you go to Naptural85’s first videos, her hair is in a teeny afro. Now, it’s down her back. Documenting a journey like that was one of the things that made me want to start a YouTube channel. Hair grows. I wanted to inspire people to go natural if it’s something they are considering. There’s a lot of natural hair vloggers on YouTube. What makes your channel unique? I’m bringing a young voice. There aren’t a lot of naturals on YouTube that are 19 or in college right now. Alot of them are in their late 20s. I’m also bringing my personality. One thing that I love is acting so I try to do some stuff with that as well. My personality and YouTube is a good mix. 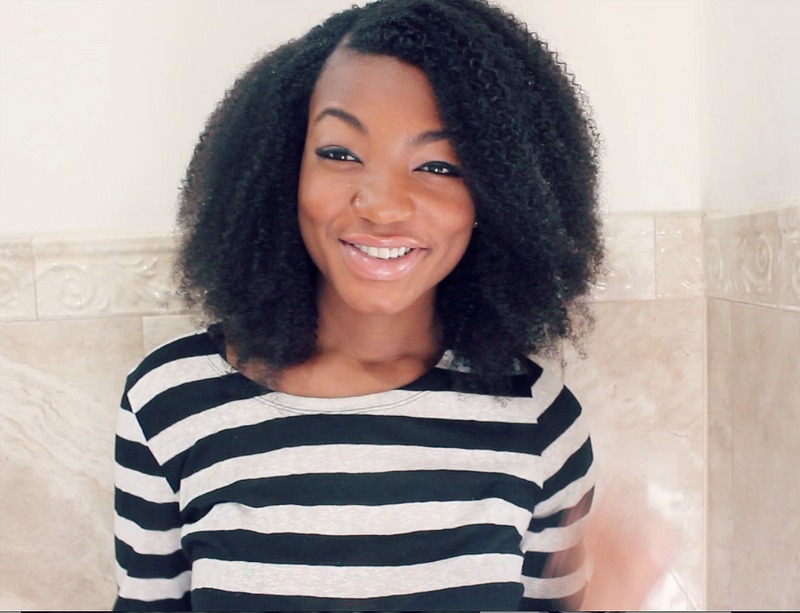 When it comes to videos, you can find a lot of people with twist-out videos, or “wash and go” videos, but the way I change it up is I use different products or I introduce my own methods. What were some of the challenges you faced early on when building your YouTube channel and how did you respond to those challenges? When I started my YouTube channel, I had no subscribers. A lot of the natural hair gurus on YouTube have hundreds of thousands of subscribers, so I told myself that I was just beginning. This was only day 1. I always told myself that this was all a process. It’s not going to happen overnight because it didn’t happen overnight for the other gurus. The others have been vlogging for 3 years and I am only a few months in. I gave myself a goal of getting 100 subscribers every month. I’ve surpassed my goal. I made the NaturallyPhilo Instagram. I shared my videos on Facebook. I also created a Pinterest. What I realized about YouTube was that in the beginning your closest friends aren’t the first ones to subscribe or comment on your videos. You make so many new relationships with people you don’t even know. Then, months in is when you start seeing your friends talking about it. Getting views was a challenge. One thing that happened when I was three months is was that Natural Hair Magazine shared my wash day routine video. I was so overwhelmed with joy. After that, the views and subscribers were coming in. There’s something about sharing and knowing that what you started is getting better each day. That’s why I’m so passionate about my YouTube channel. PK: When I first started my channel, I used my mom’s digital camera. Six videos in, I told myself I needed to invest in a Cannon. I did my research and invested in one after getting paid in my internship. That’s when I started getting HD quality videos. I edit using iMovie. I do filming by myself using a tripod. I don’t have lights. I film when the sun is out. I normally film in the bathroom and open the windows to let the sunshine in. For my thumbnails and photos I put on Instagram, I use a picture editing website called picmonkey.com. All you need is for yourself to be ready. You need passion. You need to tell yourself that you are going to start a YouTube channel. You don’t need an HD camera in the beginning. You can film from an iphone or a webcam. If you want to compete the other gurus on YouTube, investing in an HD camera is a good idea though. If you type in “wash day routine” on YouTube, the first videos that come up have 500,000 views. That’s because those people have been doing it for a long time. If you want to compete, you must have a quality video. Right now I don’t monetize my videos. I feel like I have to build a platform before I do that. When I get to 1,000 subscribers, that’s when I’ll start to think of monetizing. What do you think has been the #1 thing you’ve done to help build your brand? Being persistent. When I first started my channel, I put up 2 videos. They were about showing my journey to my big chop and two months post big chop. Persistence has kept me going. I don’t like knowing that I started something and didn’t finish it. Persistence has kept me going. I don’t like knowing that I started something and didn’t finish it. If I don’t put my all into something, I am not going to finish it. Investing in my camera, waking up early to film, editing, changing my Instagram name to NaturallyPhilo, and sharing my videos was important. Being persistent in my ability to wake up, record and go about my day, and making sure I had high video quality has kept my channel going. If you’re going to start a YouTube channel, make sure you just don’t just start and stop at five videos. If you stop no one is going to subscribe to you. They are going to see your inconsistency and that you are not producing new content. Put up a video every week or every two weeks so that your viewers know that you’re there and “alive” on YouTube. They’ll trust that you are coming back and can relate to you. How do you juggle being a full-time college student and blogger? Starting in the summer was the best thing that I did. I was able to record 16 videos before going back to school. Princeton has alot of breaks, so I filmed then. I had pre-recorded videos. For example, if I am doing a wash & go videos, I will record myself filming but won’t edit that day. I save the edits for when I’m free or home. I put my academics first so I won’t be editing or recording if I’m busy with school. However, if I wake up and have to do my hair, I’ll hook my camera up to the tripod and record myself doing hair. I’ll edit when I have free time. Will you pursue being a blogger full-time after you graduate? I’m pre-med and am thinking of doing something in dermatology, statistics, psychology, or global health fields. Becoming a full-time blogger as a profession has never crossed my mind. When I graduate, I am still going to post videos. What did you learn from Philomina in today’s BRANDMAKERS? Share your thoughts in the COMMENTS section below! Like what you read? Never miss a post again. Join my newsletter list and get weekly tips to help you build your brand. Rana Campbell is the Editor-in-Chief and Founder of Ranacampbell.com, a site dedicated to personal branding and helping people learn how to SHINE in their personal and professional lives. Thanks. I’m a perfectionist and it’s why I can’t seem to get my youtube channel going. This was a great push for me. Philo is so hard working! I’m so glad she got the opportunity to show case herself here. She truly is a youtube force to be reckoned with. It’s just a couple of second into a video before you start laughing from your belly. What a great piece! I’m creating small animations…so it may take a few months to produce. Building a community takes time. As long as you are focused and consistent, it will grow. Have you been incorporating any community building strategy and tactics? All content on this site belongs to ranacampbell.com. If you wish to reproduce or reuse anything, please contact rana@ranacampbell.com. © 2019 Rana Campbell | will help you build a brand that SHINES in the business world.